e-Government with its potential to improve the efficiency and the effectiveness of the bureaucracy which manages our society remains one of the most important issue facing us today. 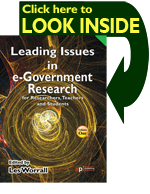 This book is a collection of research papers which focus on leading edge issues in e-Government. The research reported here has been conducted in several countries by leading academics in the field. These papers were originally published in the Electronic Journal of e-Government. 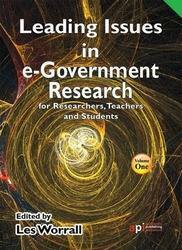 This book is of particular interest to any conducting or pursuing a course in e-Government as well as those who are researching in this field.